Alrighty folks, time for some nail art! I don't have much of an anecdote of an intro so let's just jump right into it shall we? Press Sample Recently butter LONDON released the limited edition Pop Art Collection. A self proclaimed set of "punchy, kaleidoscopic brights." 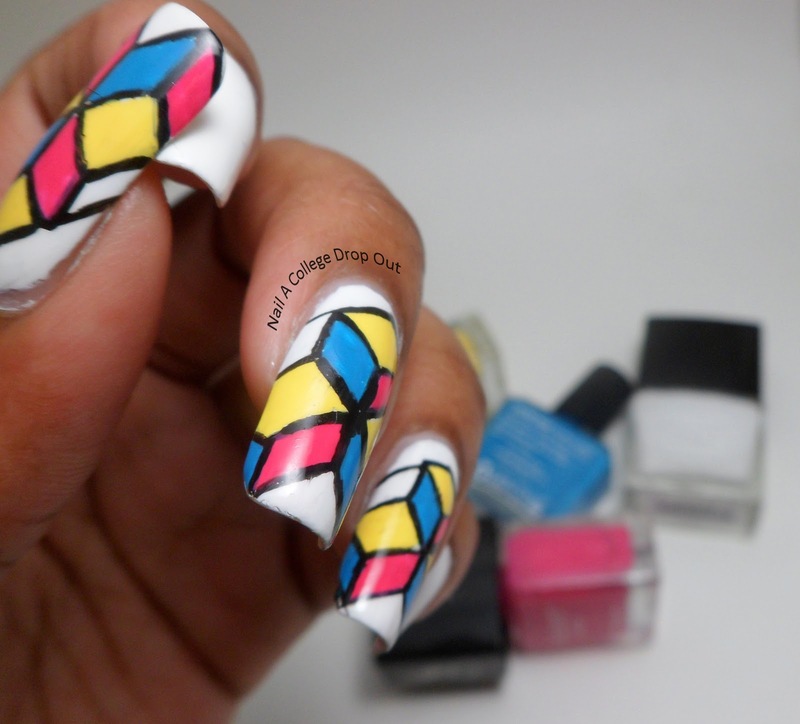 I figured why not try some 3D pop art-ish nail art, right? right! Bam! 3D cubes! I've actually been wanting to try this design since I first saw Copy That Copy Cat (aka one of my first and few nail crushes) do it. See her original post here. I changed the colors slightly and made the design bigger, but ultimately followed her YouTube tutorial for the execution. I started with a base of butter LONDON Cotton Buds from their new A/W 2013 Color Clash Collection. Next, I used my go to black nail polish to paint the boxes. And finally, I used all three shades to fill in three complete cubes. The limited edition Pop Art Collection consists of Cheeky Chops, Primrose Hill Picnic, and the new shade of the bunch, Keks. Wanna get your hands on them? Find them at butterLONDON.com for $45 for the set of three. Keks dries to somewhat of a wax like finish which I wasn't expecting, but really like. Cheeky Chops. Boy, oh boy, was I surprised with just how good the formula on this guy is. Why? Well for starters it's a yellow creme, and for finishers (pretty sure I've never heard finishers anywhere so um, YOLO I guess? ) I had a very rough time with Jasper a few months back. What I like the most about this collection is that it is the perfect grouping of yellow, cyan, and magenta! Which reminds me; I need to buy some more ink for my printer. Got any suggestions for nail art you'd like to see my attempt? Leave them in the comments, tweet me, or post them on my timeline. Wow! That's so cool! Very nice work. You did a great job! I love the design. Love these colors! Great job! Sorta looks like stained glass too. Pretty and lovely details. This is awesome! 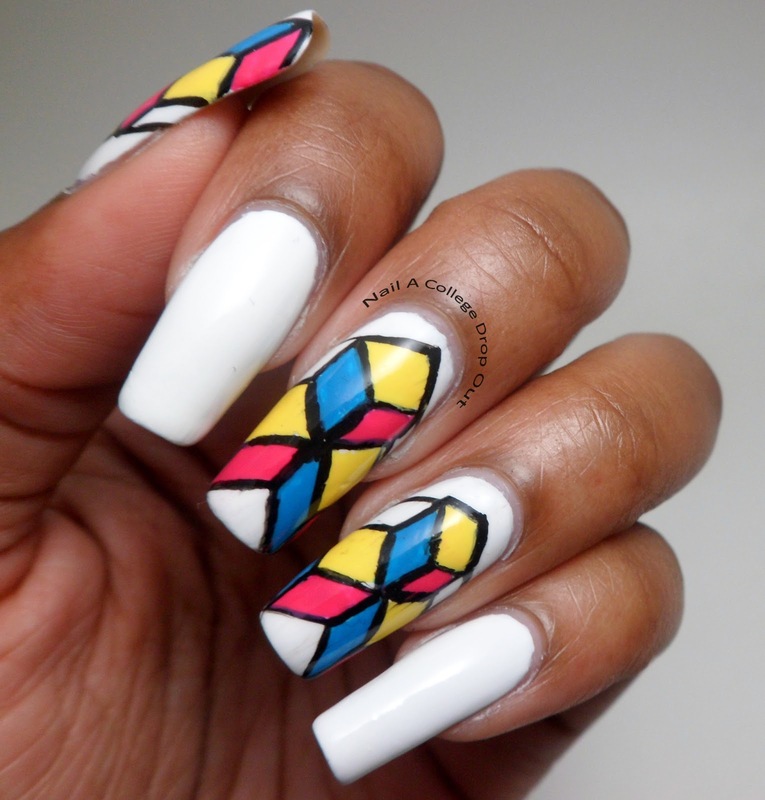 Reminds me of stained glass as well! Love those Butter London colors! Great look! Kind of like stained glass. So cool... very much like stained glass!